Let's get the name straight first  it is called the Tigor (pronounced as Tee-gor). This is a coined word that the company explains is an expression of mixture of design, style and attitude. 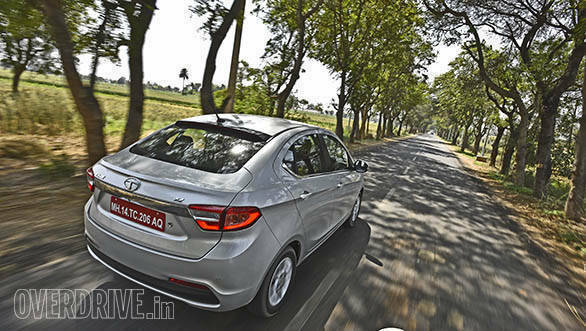 Tata Motors is confident that the Tigor will set a new benchmark with its modern design and a long list of features in the buzzing sub-4m sedan market. The segment is also expected to get a lot busier with the new-gen Maruti Suzuki Swift Dzire and the updated Hyundai Xcent that debuts this year. Will the Tata Tigor stand tall against them? 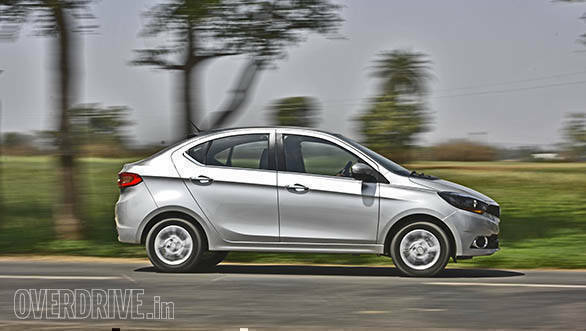 Tata Motors has managed to bring all the impressive bits of the concept onto the production model. Pratap Bose, head of design, Tata Motors, states that three of the company's design houses based in Italy, UK and India collaborated for the Tigor. When seen from the front, you might mistake the Tigor for the Tiago as both the sedan and the hatch share almost every aspect except for minor detailing on the radiator grille. 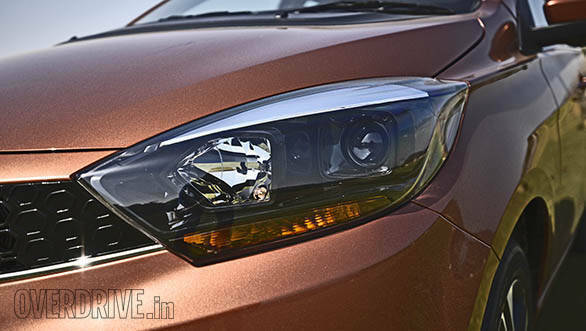 The Tigor maintains headlight design but with smoked finish and projectors. However, when you move towards the side, you realise the Tigor has received a distinguishing treatment. The front half till the B-pillar, with its character lines and rising waistline, is reminiscent of the hatch but the rear section is all-new. It might not be evident but the designers have managed to stretch the wheelbase by 50mm as the platform does offer that liberty, states Pratap. The Tigor gets newly designed larger rear doors that have improved the ingress and egress. The diesel variants get 175/65 R14 tyres like the Tiago; however, the petrol variant comes with larger 175/60 R15 tyres. The latter also sports stylish diamond-cut alloys. There is a new copper brown shade that has been introduced on the Tigor, which with the 15-inch alloys make it look like a mini Volvo S60 Cross Country. The rear profile of the Tigor has to be best that one has seen on a sub-4m sedan. With the sleek LED tail lights, compact yet well-proportioned boot with chrome garnish and a well-sculpted bumper, Pratap's team has got it right in every possible way. In fact, it makes the more premiumly positioned Zest look dated. 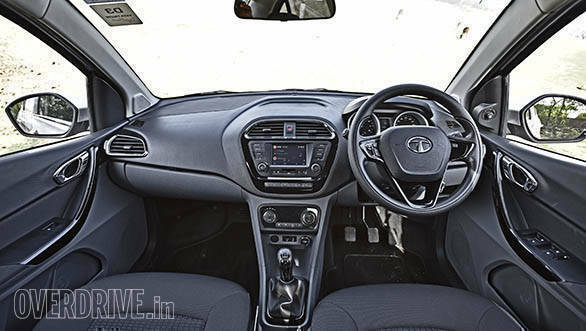 Step inside the Tigor and you are reminded that this one is based on the Tiago as the cabin layout and design is shared by both the offerings. Now what's unique about the Tigor is that it gets a mild colour revision with a tad darker shades on the trims. The signature steering wheel has been carried over, but it gets piano-finished detailing instead of the satin finish. While the design of the cabin feels modern, the quality of plastics isn't appealing enough especially when you compare it with Hyundai. Here is where it needs substantial improvement. The Harman-developed infotainment system has been updated for the Tigor as it is now a touchscreen unit that doubles up as the screen for the rear parking camera. It also features emergency assist, service reminder and navigation which is projected on the screen by connecting an Android phone with the help of USB. All of these functions and few more can be accessed with the help of Android apps only thereby leaving no option for iOS users. We asked the company officials on when can we expect to see modern infotainment connectivity options and were told "very soon". The Nexon perhaps? 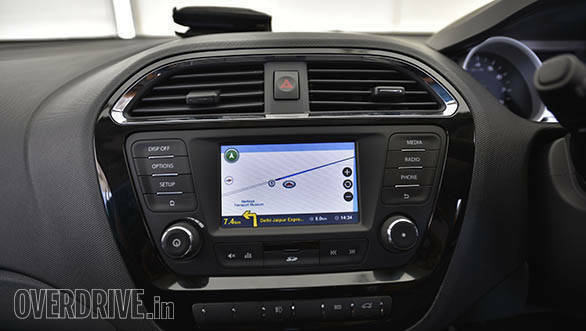 The most impressive bit about the Tigor's features has to be its music system, as has been the case with all the newer offerings from Tata Motors. 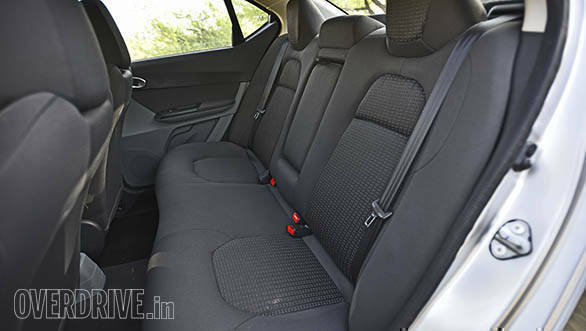 The longer wheelbase has increased the rear legroom of the Tigor and it does feel more spacious. Instead of hard plastics, it gets a fabric cover for the side support of the rear seats. The only concern is that the hip point of the rear seats has been lowered which might be an issue for the elderly while exiting the cabin. In terms of utility, there are 24 storage spaces to house bottles and other knick-knacks. 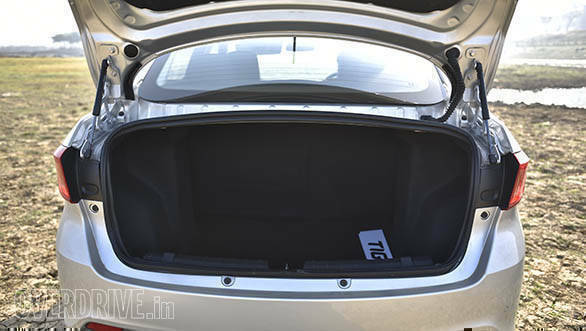 The Tigor gets a boot space of 419L that is 177L more than the Tiago. The bootlid gets a smart 4-link opening mechanism that has removed the need of hinges, making it a cleaner and more useful layout. 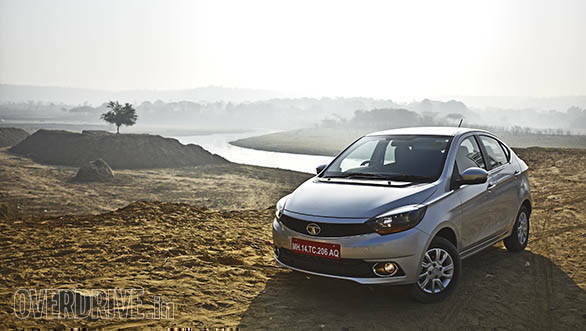 Tata Motors has retained both the 1.2L petrol and the 1.05L diesel motors from the Tiago without altering the output. 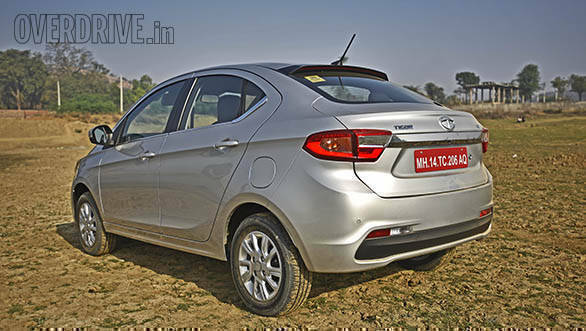 The 3-cylinder diesel unit makes 70PS/140Nm and comes mated with a 5-speed manual transmission. As soon as the motor is started, the typical diesel clatter is evident, and it doesn't feel as refined as other 3-cylinder units that we have experienced in other cars. The loud diesel clatter that seeps into the cabin is bothersome when you are travelling in bumper-to-bumper traffic. This also indicates that the NVH levels could have been better. The 1.2L petrol unit puts out 85PS and generates 114Nm, combined with the lower kerb weight, by 104kg, offers a reasonably better driving experience. . It is my pick between the two motors as I feel it is more suited to commute in the city. To make the diesel motor perform, you have to push it past 2,500rpm. However, if you do so, the motor feels stressed and this also the case while driving at high speeds. Both the motors get two drive modes, City and Eco. The City mode is active by default, whereas the Eco mode is activated via a switch on the centre console. The changes between the modes are evident. In Eco mode, the throttle response is toned down in the interest of better fuel economy. The petrol motor does not feel out of breath while travelling at higher speeds and has enough juice for quick overtaking manoeuvres. Helping that is the smooth 5-speed manual gearbox that is useful while tackling city traffic. 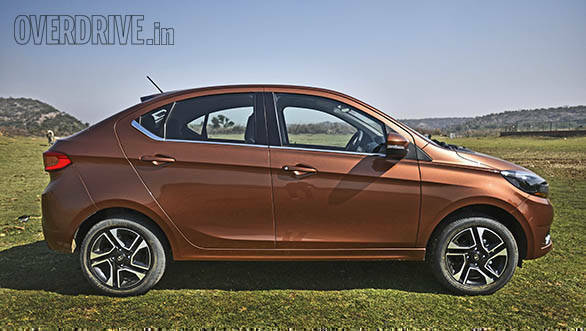 The suspension set-up in the Tigor is identical to the Tiago's and offers similar ride and handling despite a 40kg increase in kerb weight, stated an official. While driving the Tigor in and around Delhi, we didn't find it any different from the hatch. While the suspension does a fairly good job at ironing out the bumps and undulations, we did find the ride quality in the petrol variant was a lot more juddery than its diesel counterpart. On the positive side, the Tigor feels planted and stable at higher speeds. The electric power steering is light enough to manoeuvre around narrow lanes and tight parking spots and weighs up sufficiently at high speeds. So does it make the cut? 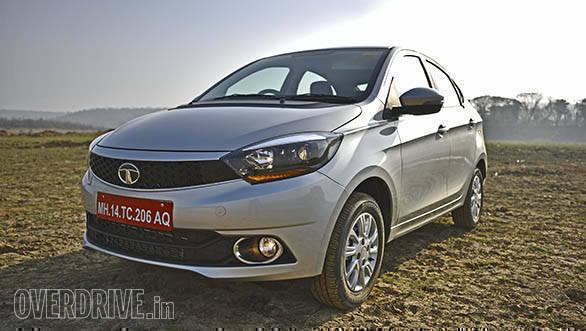 The Tata Tigor does come across as a smart-looking sub-4m sedan. That paired with the feature list can make it a value for money offering if priced right. We believe the Tigor will be priced at Rs 30,000-50,000 more than the Tiago.